Because children are so vulnerable, it is imperative that toys and baby products be designed and manufactured with a strict eye toward ensuring their absolute safety. Unfortunately, in too many cases, unsafe and defective baby products and toys find their way onto store shelves and into our homes. Toys containing toxic substances or products with small attached items that can pose a choking hazard are the source of frequent product recalls. Sadly, those recalls typically only happen after the death or injury of a child. 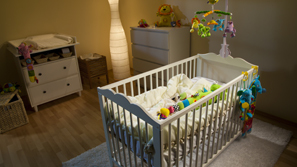 Additionally, defective toy and baby product manufacturers often are slow to correct defective baby products, such as cribs, baby seats, walkers, or other similar items. Defective toy attorney Frank L. Branson is a recognized leader in the use of cutting-edge video and multi-media technology to build demonstrative evidence that resonates with juries. This allows jurors to see and hear exactly what happened in a defective toy or defective baby products case. To learn more about our experience in defective toy and baby product related matters, we invite you to contact the firm here.